I found an island called Nihoa near Hawaii. 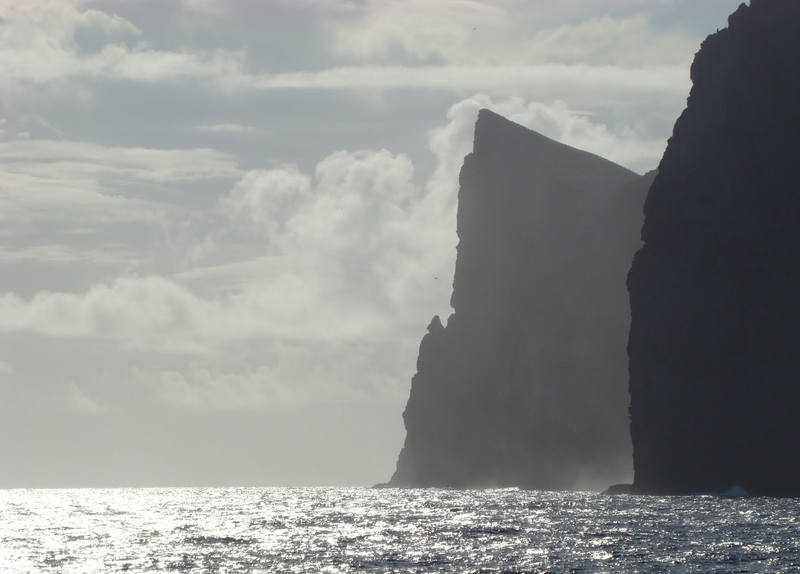 The name "Nihoa" apparently means "tooth" in Hawaiian language and was chosen to depict the jagged outline of the island. Also, the pointy part of the island does look like a shark tooth. 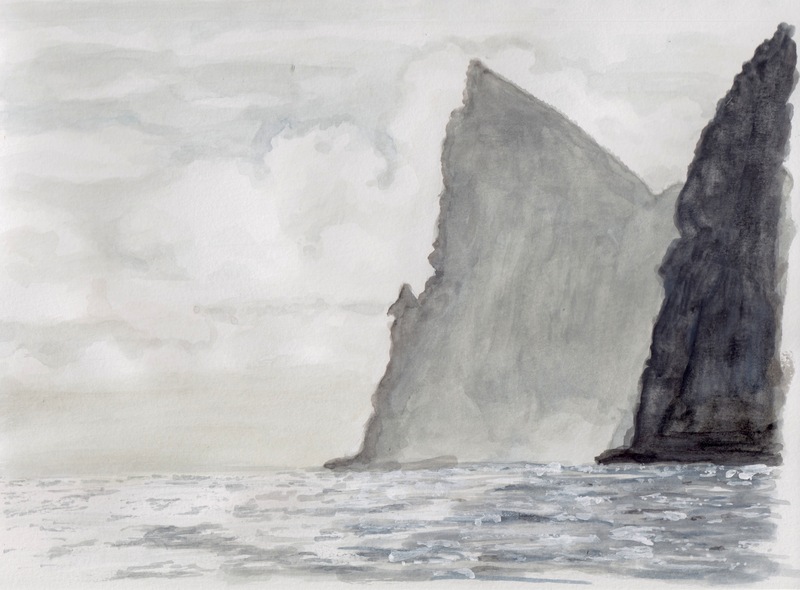 Nihoa is one of the tallest of ten island in the area. It's uninhabited so the scenery from Google Map photos are breathtaking. I had a lot of great options for my virtual plein air painting butI chose a picture that was taken from the sea because I really liked the lighting and the colour scheme of the photograph. It was not easy to depict with watercolours but it was fun to work on.